BEACH GLASS BOOKS was begun in 2010 by award-winning Author Lindsay McAllister Zarse to publish her first children’s book, The Magic of Topsail Island. 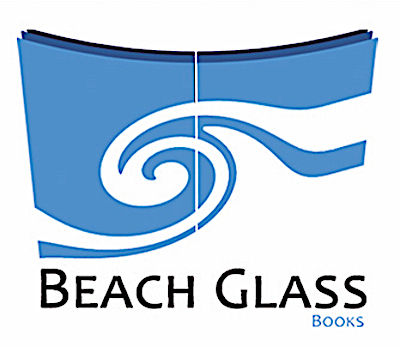 The Beach Glass Books logo, a stylized image of a wave breaking over an open book, was created at that time by artist/illustrator Brian Martin, who also illustrated The Magic of Topsail Island. The two later collaborated on two other children’s books, MAGIC! A Topsail Turtle Tale and Pirates on Friday. Several years later author Ray McAllister (RayMcAllister.com) was able to secure the rights to his award-winning non-fiction books about the North Carolina coast, which he brought to Beach Glass. (The opportunity arose when legendary regional publisher John F. Blair, Publisher, had to be merged into another firm with the retirement of its principals.) The company became legally affiliated with Ray McAllister Books LLC and began distributing his beach books and two others. Therein followed the publication of an updated and enlarged second edition of Wrightsville Beach: The Luminous Island and a new book: Ocracoke: The Pearl of the Outer Banks. Expanded second editions are also planned for his books on Topsail Island and Hatteras Island. Meanwhile, Beach Glass began publishing other writer’s works as well, including the reprints of two classic Outer Banks books by historian Ellen Fulcher Cloud; a beloved Richmond columnist’s book with his wife, Flights of Fancy; and Charlotte attorney Charles Oldham’s gripping true story of a 1905 crime, The Senator’s Son. Another half-dozen books, including Beach Glass Books’ first novel, are scheduled for publication in 2019 and 2020. For guidelines on having manuscripts considered for publication by Beach Glass Books, please see SUBMISSIONS.